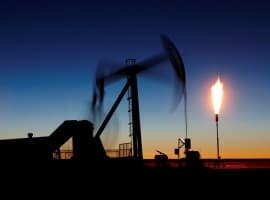 Oil prices have reversed losses and are heading higher today, despite a bearish-tilted monthly OPEC report. The U.S. dollar has pulled a U-turn, and weakness is encouraging crude higher once more. Hark, here are five things to consider in oil markets today. 1) With the latest monthly OPEC report out today, it seemed a fun exercise to take a peek at how exports are doing for Saudi, Iraq and Iran amid current production freeze chatter. And, yep, crude loadings from the triumvirate continue to rise. 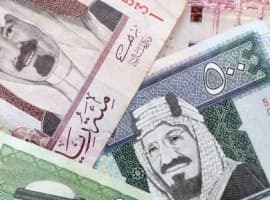 Volume for the trio is up 12 percent since January's volume of exports, with Saudi exports above 7.5 million bpd last month, Iraq at 3.2 million bpd, and Iran at 2.6 million bpd. 2) As mentioned above, we have all the fun of the fair over the next couple of days, with OPEC's monthly oil market report out today and IEA's released tomorrow. According to secondary sources, OPEC production ticked lower last month, as an increase from Iran and Saudi was offset by losses from Nigeria, and to a lesser extent, Libya. (Primary sources were particularly contrary this month, with a huge increase of 185,900 bpd of production from Nigeria, compared to secondary sources showing a drop). The cartel has kept its demand-side expectations basically the same as the prior month (+1.23mn bpd of growth this year, +1.15mn bpd in 2017), but has revised up its expectations for non-OPEC supply both this year and next. 3) The charts below are also from the latest OPEC report, highlighting its expectations for the global economy going forward. While Brazil and Russia's economies both are expected to show ongoing contraction this year, it both should show growth next year. The Eurozone is expected to see slowing growth next year, as are China and India - albeit still at elevated levels, 6.1 and 7.2 percent respectively. As for the chart below right, it highlights how global investment in the oil and gas sector has come off in the last couple of years amid the oil price drop, but according to Rystad Energy, we should see a modest rebound next year. 4) The latest CFTC data show that not only did speculative short positions increase significantly, but long positions edged lower too. This meant net long positions dropped by 19 percent, as money managers become more bearish once again. 5) The chart below shows Saudi Arabia's direct crude burn this summer. It is at its lowest level for five years, helped by the growing presence of natural gas in Saudi's generation mix. 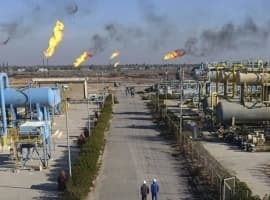 The startup of a new gas development called Wasit in March is said to have added 20 percent to Saudi Arabia's natural gas production this summer. Last year, Saudi Arabia used nearly 600,000 barrels per day of crude for power generation, peaking in the summer at ~900,000 bpd. This summer, it has peaked at a considerably lower level of ~700,000 bpd. (h/t @_StewWilliams). Saudi is targeting an increase of natural gas production capacity to 23 Bcf/d over the next decade, up from 12 Bcf/d currently.